*** On The Bank With Luke Norris *** I arrived for a short overnighter and decided to fish on Hunts Corner on the Linear Fisheries Official complex. Whilst on a lap of the lake I spotted some fish showing up the top end along a reed line, so I jumped Straight into the swim and cast out some solid bags filled with Hinders Mini Combo. My hookbaits were CC Moore Dairy Supreme Pop-ups. A quick cast to showing fish resulted with my 1st take, that came within half hour of turning up "a lovely 17.5lb mirror" Around an hour later I had another run, that turned out to be a 29lb mirror. The action slowed but just before packing up I did manage another carp in the shape of this stunning a 18lb 1oz common. Luke Hinders Fishing Superstore - Well done Luke, I'm sure more will follow. 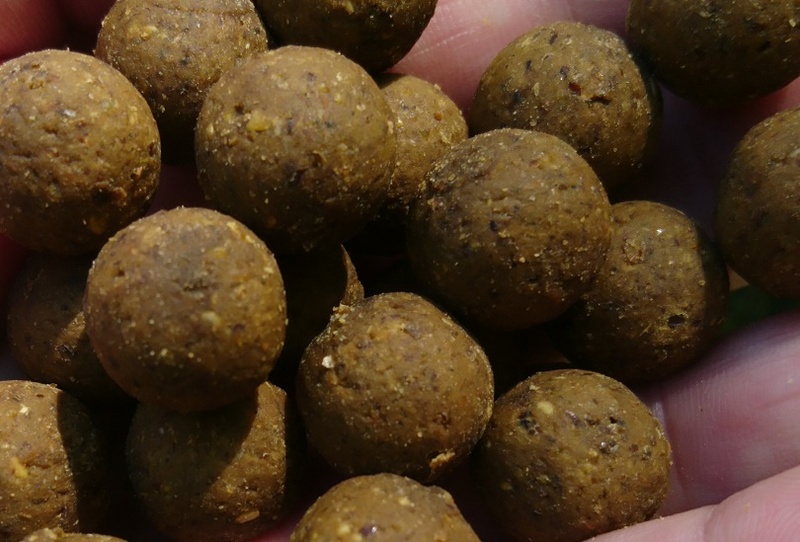 Our very own Mr Hewitt has recently had a fantastic result using his very own "Ultimate Pva Bag Mix" Click below for more info. (https://hinders.co.uk/products/the-ultimate-pva-bag-mix-special-offer) - Hewitts bag mix — Products shown: THE ULTIMATE PVA BAG MIX SPECIAL OFFER and Mini Combo . ***STUNNER ALERT*** Check out this stunner for Fox-sponsored Kris Garrett! Chris used rigs tied from a host of Edges rig components including the new Stiff Rig Straight hooks - top work Kris! Cryogen Para-Point...available from mid-March. This is the absolute ‘enforcer’ of the range. The medium length shank, with an almost crystal bend and inclined point make this an incredibly strong shape, further enhanced by the heavy forging and Cryogen tempering process. The long, fine needle sharp point, further enhanced by the slick Tufflon coating ensures excellent hook holds and the Straight eye allows this pattern to be highly versatile as a bottom bait or pop up hook, with or without shrink tube or a line aligner sleeve. The Straight eye makes it especially effective for a Tungsten Loaded ‘D-Rig’ where the Straight eye acts to increase the gape. The ‘Para’ has already become a real favourite amongst our testers and looks set to be the ‘go to’ all-rounder. What Do You Prefer? Straight point or Beaked point hooks for your Chod and Hinged Stiff Rigs? **** Bryan Tuck and Dale Diamond are off to a flier*** "The morning had all gone wrong for me and I finally arrived at the lake around midday. The wind had started to pick and a light rain had started. I had a wander around with the bivvy over my shoulder and quite quickly saw a few swirls in peg 11. I thought this is as good a sign as any so I set the bivvy up and headed Straight back to the van for the rest of my kit. Once I was all set up I decided to get some bait in. I used a mixture of hemp, tigers, 10mm nut365, chopped 14mm nut365, cell and essential cell chops with a little bit of corn added. I put in 15 midi spombs to start with and this resulted in a take on the 14mm nut 365 within the hour but unfortunately I lost the fish. My good friend Dale Diamond turned up at 2pm and I helped him get set up by wrapping his rods to a spot we fish quite often in peg 10. Within the hour he was sorted and decided to get some bait out, again using a very similar mix to mine but without the sweetcorn as he was trying to avoid the bream getting on the bait. I put a fresh bait on and cast it back to the spot. Again half an hour and the same rod was away again resulting in a lovely 13lb common in the bottom of my net. Dale cast both rods to his spot, one rig using 14mm nut 365 topped by a 10mm white pop up the second using a 14mm nut365 tipped with a 10mm pink pop up. I decided to fish the nut against the cell and essential cell to see which on performed the best, so I put a 14mm nut on one and a cell on the other. As the darkness set in my left hand rod was away again, only a scraper double this time and it was the nut365 rod doing the business again! A few hours later and Dales left hand rod tore off and another mid double common was sitting nicely in the back of the net. Dale was busy right into the small hours snaring 5 mid doubles! The rest of my night was very quiet so I managed a few hours sleep! The daylight hours on the venue this time of year is generally very quiet so around 4pm we decided to put some more bait in ready for the night feed! I had issues with my alarms so had to leave the lake to get new batteries and on my travels my hunger got the better of me so I picked up a Chinese. I managed to get back and have some food and got the rods back into the water just before dark. Dales rods fell silent throughout the night with not so much as a beep. I felt like bite time had past as I saw the clock tick past midnight so I settled down and got into my sleepingbag. In typical fashion just 20 minutes later and the left hand rod melted off. Again only a scraper double but a very welcome one none the less . I thought it was gonna kick off from then but nope that was it for the night! We had a cracking session and caught plenty of fish on the nut 365 and cannot wait to get back out there and catch some more"
Come on guys, pop in to the Brentwood Carp Show and head Straight to stand 194 for an unbeatable subscription pack and have a chat with the team! A welcome surprise on a cold morning! Almost as surprising as what happened after releasing the fish where I slipped Straight into the lake. IT WAS COLD!